Wash and dry apples. Insert a wooden stick into the top end of each. Line a baking sheet with wax paper and set aside. 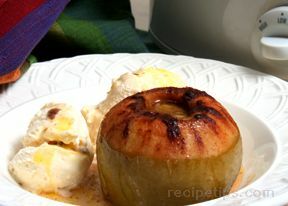 In a small saucepan over low heat, combine the caramels with 1/4 cup plus 2 tablespoons water. Cook until smooth, stirring occasionally, about 10 minutes. Remove from heat. 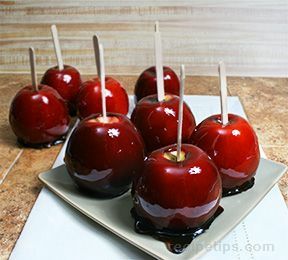 While the caramel is hot, dip the apples in, swirling to coat evenly. 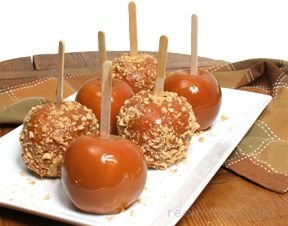 Let the excess caramel drip off and place the apples on the lined baking sheet. Place in the refrigerator to harden, about 1 hour.